Why hang tag your custom apparel? In a retail setting, people come into contact with a lot of brands, often displayed close together with similar products. Anything you can do to differentiate your apparel will help get your brand noticed. Any marketer will tell you that a customer's buying cycle goes something like this: emotional decision, rational justification. Hang tags provide you the valuable opportunity to appeal to both considerations. The color or material choice, your logo or tagline may all evoke a feeling for a customer, while your highlighted features and benefits can add the validation necessary to justify their purchase. Among the more tangible advantages, when it comes down to it hang tags also just look great and give a certain oomph to your apparel that customers will notice. 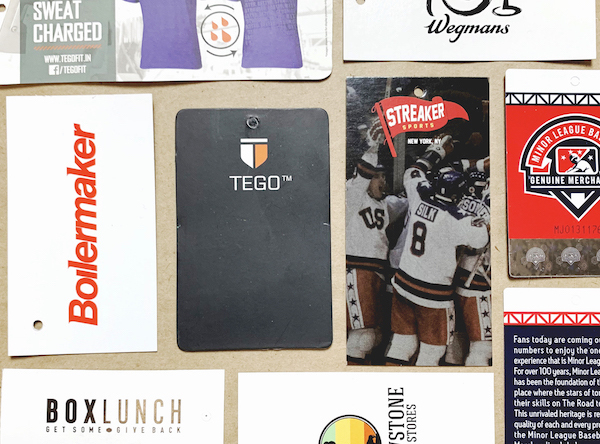 In marketing terminology, a hang tag adds to your apparel’s perceived value, the customer’s evaluation of a product’s ability to fulfill a need and provide more satisfaction than a competing product. Luxury brands are built on this. It’s the perceived value that justifies the price. So, what information do you REALLY need? In this case, need is a pretty relative term. 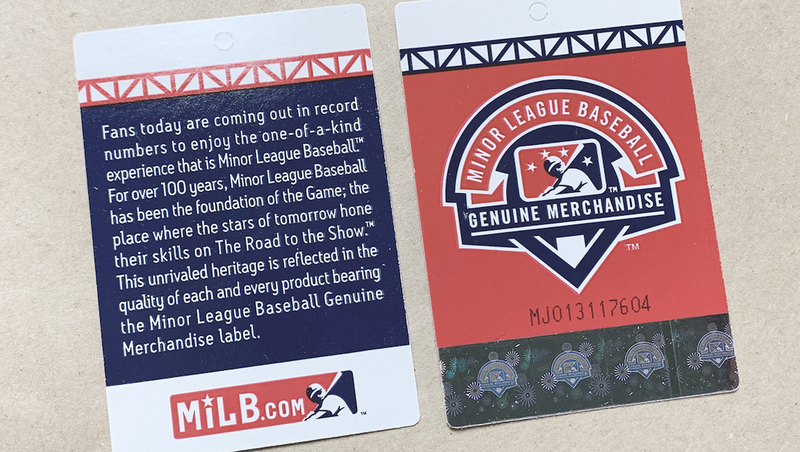 Unlike custom relabeling, where certain information is legally required, hang tags can be as varied as the apparel itself. Since there’s nothing you absolutely must have--though your brand name would probably help--there’s a lot of potential to be creative with what information you decide to include. A great place to start is to consider the questions a customer might ask before purchasing your apparel. Are there special features of the product that aren’t instantly recognizable? Or there a mission statement or a company ethos that would resonate with your audience? Your hang tag is a valuable, but small, bit of real estate. Choose what will actively work to sell your product, engage your customers and create return buyers. Here’s a few different things you might want to include. Your brand name and your logo is probably the closest thing to a must-have. After all, if someone can’t tell whose product they are buying, the chances of them becoming a return customer are pretty slim. It’s important to keep on-brand here, avoiding inconsistent typography and making sure your logo scales well without being significantly altered. Your tagline sums up your company vibe in a concise, catchy way. What could be a better addition to your hang tag than that? If you’ve got a manifesto, a back story or a cause that a tagline just won’t cover, it’s worth including a lengthier message. What your company is passionate about matters to your customers and if it’s something unique to you, they definitely want to hear it. This is especially important if the part of the proceeds of their purchase go toward a charity or fundraiser. Your customers will feel good about contributing to a bigger cause, and statistics show it can even be a deciding factor when making a purchase. Whether it’s your website, social media handle, email address (even physical address!) by including an avenue of contact, you open yourself up to return customers. It will allow them to see your other products, learn more about your company, tell their friends and, hopefully, stay in touch. And if they already liked your tee enough to buy it, there’s a good chance they’ll like that hoodie too. If your apparel has benefits or qualities that aren’t immediately apparent, you’ll definitely want to include some additional product information. Don’t assume everyone can tell your garment is sweat-wicking, has a special hidden pocket, or will stay magically wrinkle free. Choose to highlight the specific qualities your target audience will care about. A call to action asks your customer to do something. Whether it’s tagging or following you on social media or viewing a specific promotion or website, always consider what might motivate someone to follow through. Your call to action can also function as a thank you by providing a discount code customers can use on their next order. These bits of information are important if you’re selling an entirely bespoke garment or if there’s a quality of your fabric you’d really like to emphasize, like “100% organic cotton”. If not, consider leaving this off. Your manufacturer’s tags, or custom relabeled replacements, will already have this information listed. If you see your apparel in a bigger retail setting, you’ll want to include a price and maybe even a UPC. A UPC, or Universal Product Code, is a 12 digit code assigned to retail merchandise that identifies the product and the vendor who sells it. 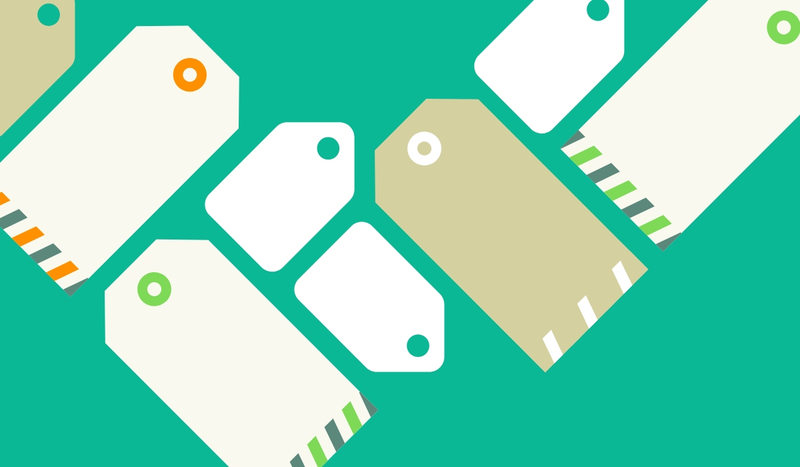 You don’t need a UPC code to sell in a retail setting, but if you’re planning on selling a lot of garments, it may help keep things running smoothly. 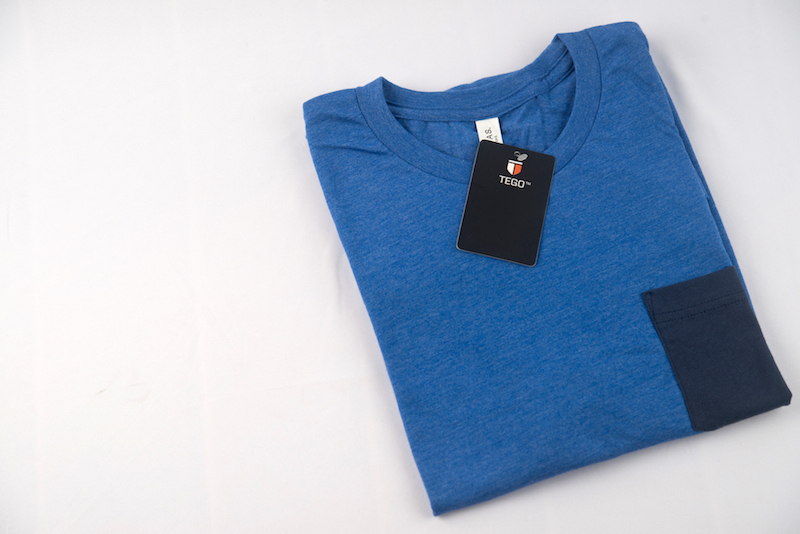 When you include a hang tag, your garment becomes a branded package. Because of this, an effective design is not only informative, it’s visually engaging. While we’ve focused a lot what your hang tag says, don’t underestimate the benefits of featuring a photo or illustration. An image can tell a customer a lot about your brand, the lifestyle it’s wearer might embody, and will be more eye catching than an overly text heavy design.